Browsing articles tagged with " saudi"
Following are a series of public statements by Saudi officials and religious scholars condemning extremism and promoting moderation. “The ideas of extremism, radicalism and terrorism do not belong to Islam in any way, but are the first enemy of Islam, and Muslims are their first victims, as seen in the crimes of the so-called Daash (ISIS) and Al-Qaeda and their affiliated groups. “We condemn the plague of terrorism and we’ll not accept it from any party, whoever it may be…Our religion, Islam, rejects terrorism, killings and causing harm to people. The Imam of the Grand Mosque in Makkah, Sheikh Saleh bin Humaid …… cited many Islamic principles that forbid terrorist acts of killing, violence, and intimidation of peaceful and innocent people, and made it clear that violence and terrorism will not succeed anywhere on earth because they run counter to all religions, all international norms and laws. He called on religious scholars, writers, thinkers and intellectuals to clarify the true course of Islamic behavior and to advise on how to avoid deviations in ideology, referring to the important role that the mass media can take in this regard. Similar exhortations were made at the Prophet’s Mosque in Madinah, where Imam Ali Al- Huzaifi called the explosion in Al-Khobar serious sedition, aggression, and corruption, adding that such terrorist and destructive acts are totally forbidden in Islamic teachings. “I call on leaders and scholars of the Islamic nation to carry out their duty towards God Almighty, and to stand in the face of those trying to hijack Islam and present it to the world as a religion of extremism, hatred, and terrorism, and to speak the word of truth, and not fear anybody. Al-Asheikh emphasized the need for society and religious establishments to combat terrorism and extremist ideology. He noted that some young Saudis have been misled into branding people and even some Muslim religious scholars as infidels. Imams and preachers should teach and guide the youths before they fall prey to the influence of extremists and become outlaws. Al-Asheikh said that the first responsibility lies with the family and then the imams at mosques to confront extremism and protect the youth from extremist ideologies. “Cursing peaceful non-Muslims is not accepted in Islam … Preachers are required to follow the guidelines of the Ministry of Islamic Affairs in this respect…“Preachers play a significant role in explaining Islam to all people, including People of the Book. Imams of mosques who deviate from the path of tolerance and moderation are few and do not represent a trend. The Grand Mufti denounced attacks on diplomats and embassies as un-Islamic and stressed that the best way to stand by the Prophet (peace be upon him) is to follow his Sunnah (teachings), spread his virtues and the values of Islam. In a widely publicized statement, Sheikh Al-Asheikh emphasized that that Muslims should not let their anger lead them to kill innocent people and attack public facilities. If Muslims surrender to anger, they will achieve the objectives of those who are behind producing this offensive film. Sheikh Al-AsShaikh appealed to all countries and international organizations to criminalize acts ridiculing all prophets and messengers of God. Shaikh Abdulaziz Al-Ashaikh issued a statement citing verses from the Holy Qur’an and the sayings of Prophet Muhammad that clearly stipulate such an act as “forbidden and highly sinful.” He also declared that it is forbidden to cover up such acts, or to express justification for them, and whoever does so, is an accomplice to the crime. “…And I say to every citizen that one of the most important obligations is to confront narrow mindedness, regionalism and social division. Confronting these ills is a requirement of our faith and contributes to national unity. Combating Terrorism: The late King Abdullah bin Abdulaziz called for the establishment of an international center to combat terrorism more than 10 years ago out of his firm belief that terrorism can be most effectively fought when nations work closely together in all areas, including the sharing of information. In 2005, Saudi Arabia hosted the historic Counter-Terrorism International Conference in Riyadh where more than 55 countries participated and during which the proposal for the establishment of the United Nations Counter-Terrorism Center (UNCCT) was unanimously adopted. In 2008, King Abdullah pledged $10 million to the United Nations to establish the Centre and, in 2011, Saudi Arabia signed an agreement with the U.N. to launch the UNCCT. In August 2014, King Abdullah provided the Centre with a donation of $100 million to enhance its capabilities and effectiveness in helping countries combat terrorism. In February 2014, King Abdullah issued a royal decree on counterterrorism. 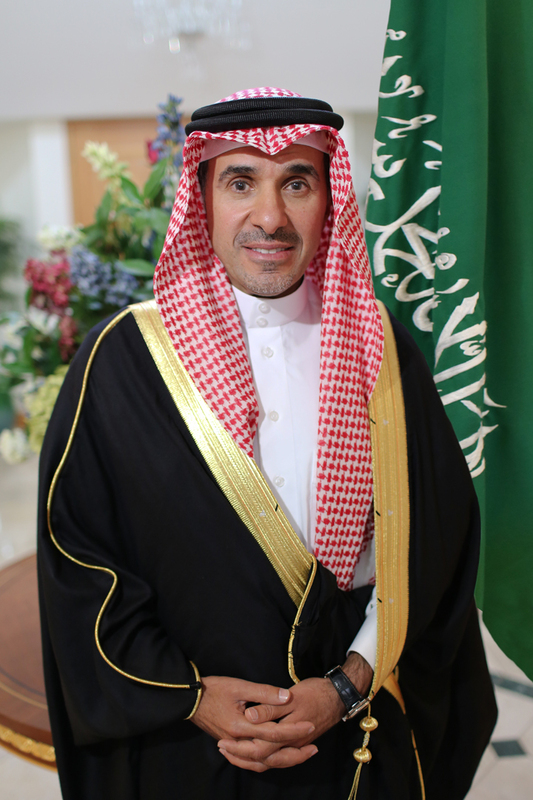 The decree reinforced that acts of terrorism, including membership in terrorist organizations, and ‎participation in hostilities outside the Kingdom, will not be tolerated. Lebanon – Saudi Arabia donated $1 billion to Lebanese security services to combat terrorism. This aid is separate from the $3 billion Saudi Arabia pledged to Lebanon in December 2013 to strengthen the capabilities of the nation’s armed forces. Yemen – Saudi Arabia is the largest donor of aid to Yemen. Its aid has helped the country enhance counterterrorism training and expanded Yemen’s expertise and intelligence collection in order to combat the spread of terrorism. Iraq – Saudi Arabia contributed $500 million to the Iraqi people, regardless of religion or ethnicity, in order to help the Iraqi people overcome the hardships they have endured and to help thwart the spread of extremism. Saudi Arabia has also provided financial support to other countries, including Egypt, Jordan, Pakistan, Afghanistan and Mauritania to help enhance counter-terrorism capabilities. Combating Terror Financing: Terror networks thrive on illicit funding, often hiding behind charitable organizations. To combat this threat, Saudi Arabia has put in place one of the world’s strictest financial control systems to prevent funds going to support terrorism. All Saudi financial institutions have implemented the 40 recommendations of the Financial Action Task Force (FATF) of the G-8 regarding money laundering and the eight recommendations regarding terror financing. In August 2015, Saudi Arabia joint the FATF as an Observer Member. Saudi charities are prohibited from transferring money abroad. The collection of cash contributions in mosques and public places is prohibited. The Saudi Arabian Monetary Agency offers programs and has implemented a technical program to train judges and investigators on legal matters involving terrorism financing and money laundering methods, international requirements for financial secrecy, and methods exercised by criminals to exchange information. 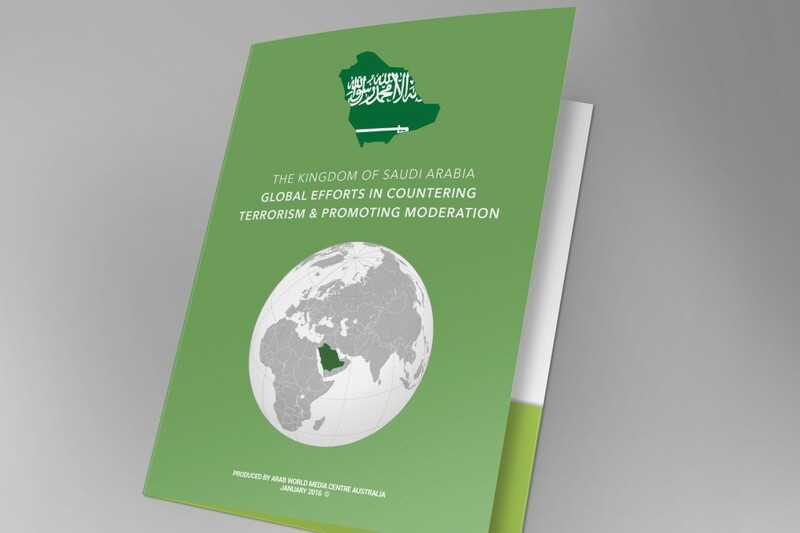 Saudi Arabia works closely with the United States, Britain, France, Italy, Canada, Australia and other allies to combat terror financing on a global scale. Overcoming Extremism: Saudi Arabia will not tolerate extremists who have misused religion to advance perverted agendas. To combat this threat, Saudi officials and religious scholars have publicly and unequivocally condemned terrorist acts, and have aggressively sought to discredit deviant terrorist ideologies. 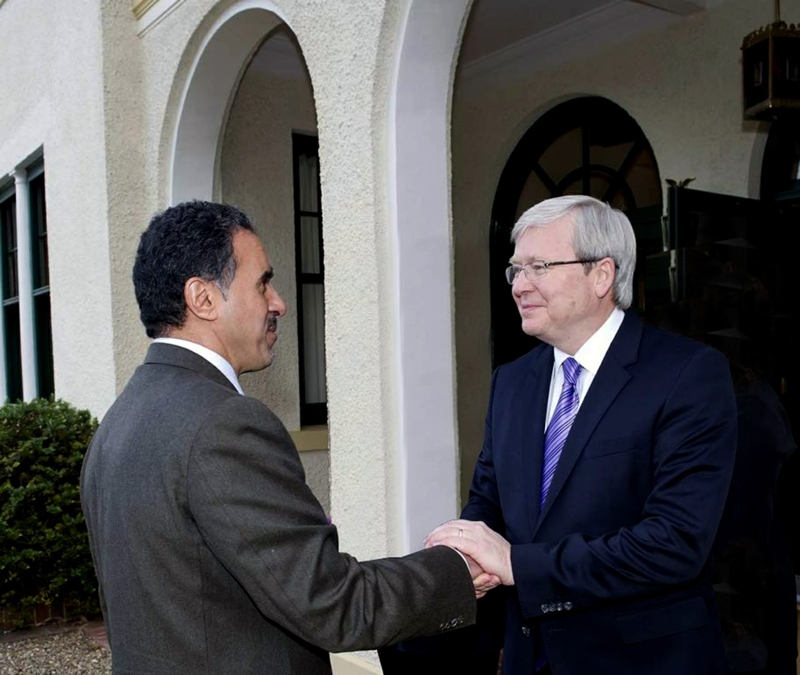 The Prime Minister of Australia Kevin Rudd received the Ambassador of the Custodian of the Two Holy Mosques to Australia Nabil bin Mohammed Al Saleh at the Lodge in Canberra, Australia. During the meeting, they exchanged cordial talks and discussed boosting the growing relations between the two countries. The Ambassador also passed on the well wishes and greetings from the Custodian of the Two Holy Mosques King Abdullah bin AbdulAziz, the Crown Prince, the First Deputy Prime Minister and Minister of Defence Salman Bin AbdulAziz, the Second Deputy Prince Muqrin bin Abdulaziz and the Minister of Foreign Affairs Prince Saud Al Faisal to the Prime Minister Kevin Rudd and the people of Australia. On his part, the Australian Prime Minister Kevin Rudd passed on his thanks and well wishes to the Custodian of the Two Holy Mosques and the Saudi people. 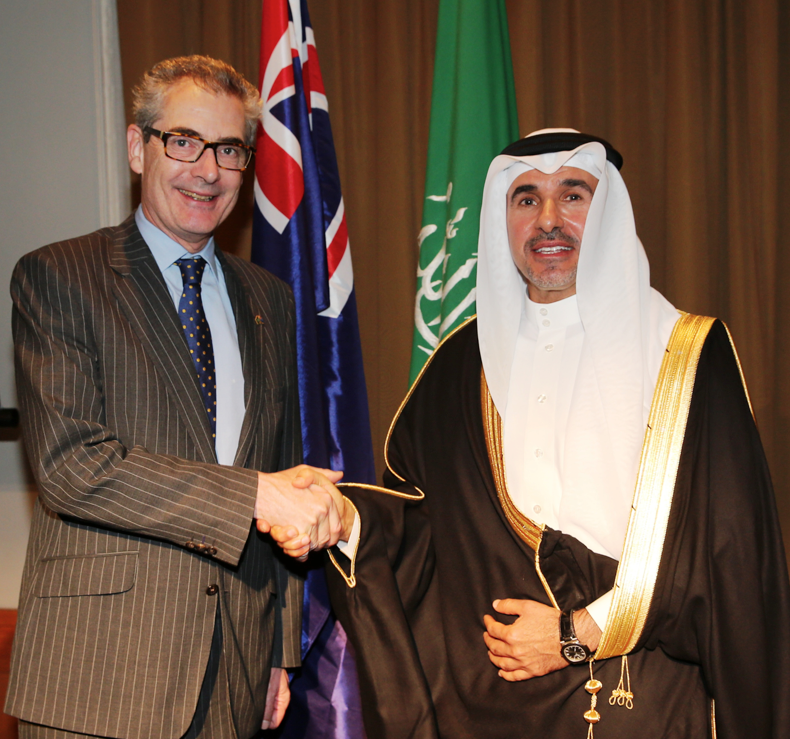 Mr Rudd also expressed his gratitude towards the growing bilateral relations between Saudi Arabia and Australia. His Excellency Saudi Ambassador to Australia Nabil Al Saleh paid visits to a number of Saudi patients who are being treated in hospitals in Sydney.He listened to the patients about their health conditions and needs and also reassured them about the ongoing support they will receive from the embassy.